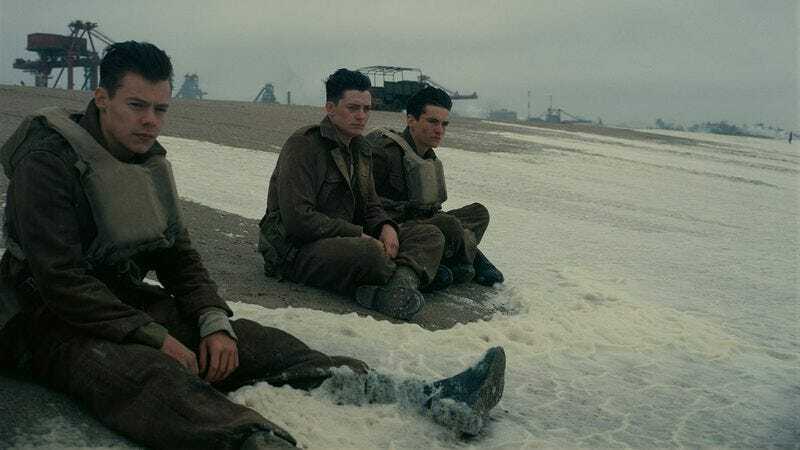 While one would expect a movie about thousands of soldiers trapped between the sea and an enemy army to be tense, Christopher Nolan manages to make that tension eerily palpable in his newest feature Dunkirk. As a new video from Vox explains, this is partially accomplished by the film’s score, which prominently features an auditory illusion called a “Shepard tone” that gives the impression of an infinitely ascending tone. The Shepard tone illusion is achieved by layering several ascending tones separated by an octave, then decreasing the volume of the highest pitch while you raise the volume of the lowest. The result is an ascending scale that keeps climbing but never seems to reach its highest point. It. Is. Maddening. For Dunkirk, Nolan once again worked with award winning composer Hans Zimmer, who brought a similarly intense sound to the empty space of Interstellar and the dense dreamworld of Inception. But in an interview with Business Insider, Nolan revealed that he first explored the use of a Shepard tone when working with composer David Julyan on The Prestige. Since then, it’s been the director’s go-to move for adding a bit of teeth-grinding tension to his already visually gripping films. When you feel yourself having a panic attack mid-movie, just know that it’s Nolan’s good friend the Shepard tone doing it to you.